At the end of each month I'll be taking part in a "Kids Were Here" blog circle. The goal is to capture a childhood well lived without little AB actually being in the photo. 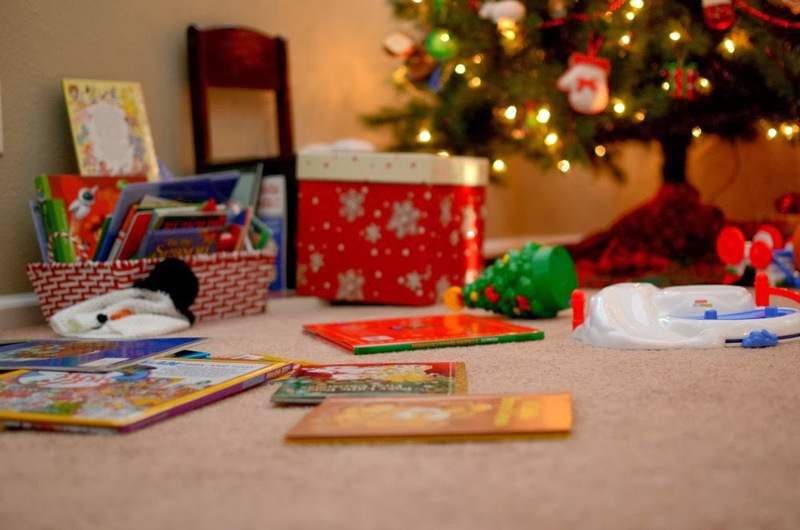 This month yielded plenty of opportunities to capture HUGE messes, but I found myself tiding up as quickly as possible in order to stay ahead of the avalanche of toys, books and puzzles. 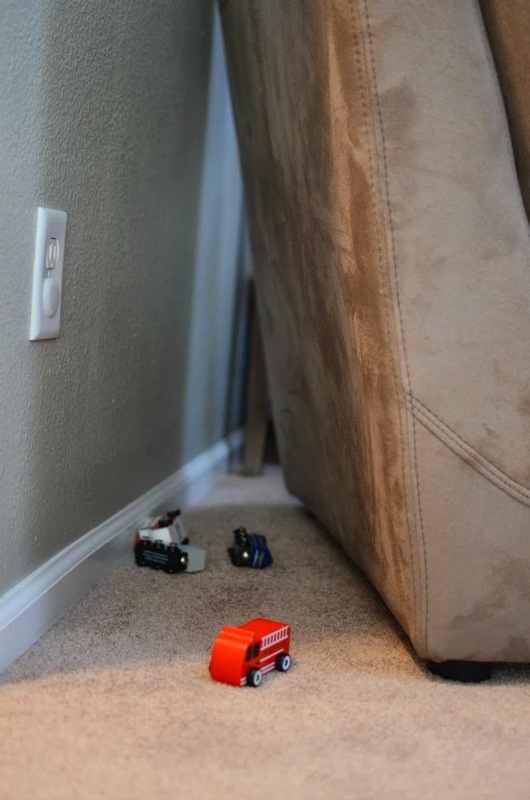 One thing that I've been finding pretty funny is the little guy's desire to drop toys behind the couch. Actually, I shouldn't limit this to toys, as it has also included remotes, phones, mail, books, and more. Move any couch and you are sure to find a few things left behind by little hands, and possibly the echos of "uh-oh" still ringing in your ears. Now, please continue on with the circle and visit Anna's blog to see what she captured this month. Love it! I have one that drops things behind the couch too. That is so cute. Behind your couch looks a lot cleaner than mine lol! Great job! Great pictures and I always find it so funny when I find a "stash" spot from the kids!